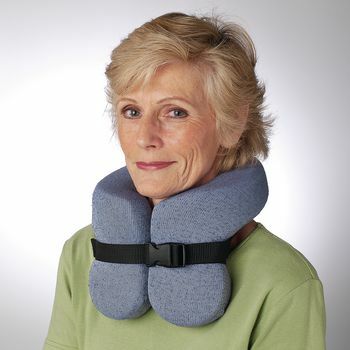 Soft foam wrap-around collar supports the head by using base support areas at the occiput and jaw line. After the rest of the body is positioned, the support can help maintain mid-line head positioning, improving breathing, swallowing, and simplify feeding and social interaction. Built with strong yet pliable reinforcement material around the outside, and a quick release buckle for easy on/off. Soft sock covers are easy and inexpensive to replace and clean.